"Minecraft Comes Alive" is a mod that allows Minecraft players to improve their villages and interact with villagers. This improved interaction adds a realistic touch to the game, adding features such as marriage, friendship, and having children. The most noticeable thing about the mod is that it improves upon the looks of the villagers. Skins allow the villager to be identified by profession, such as farmer, priest, librarian, butcher, or smith. In addition, the user can socialize with the villager using chat, joke, and gift options. By interacting with the villagers, the user can increase or decrease the number of “hearts” each villager has. The “hearts” are how friendly the villager is towards the user. Once a villager is friendly enough, the user can ask the villager to marry them. Once married, the user and the villager can have children. This is beneficial because users can assign chores for their children to complete. The child can be assigned farming, hunting, or fishing, which helps the user to accomplish more within the same amount of game time. After 100 hours, each child becomes an adult. Adult children can be given weapons and armor to increase strength, making them excellent fighters. This helps to defend the user against zombies or creepers that would normally attack or explode, damaging the user’s property. Having extra people defending the user also allows for protection against monsters that would normally attack while they dig in the mines. Since there is no limit on how many children the user can create, this is a very useful feature. 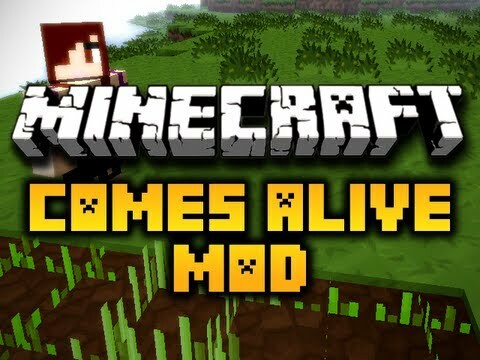 The “Minecraft Comes Alive” mod is an excellent choice for anyone who wants to add more interaction to their game or make game play easier over time.